When I reached the area, I was a little bit confused because it turns out they recently moved to a new place which is right next to their old one. As I approached the front doors, someone greeted me cheerfully and helped me brought the boxes in. She's the one who replied my email and is in charge of the front office. 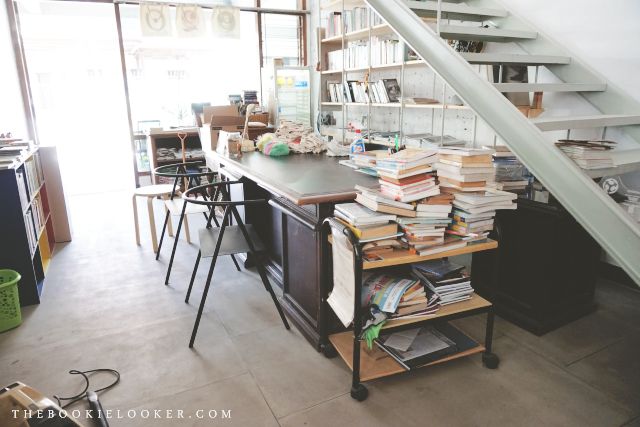 The picture below shows the front door and the front desk—which still looks a little bit chaotic because they haven't finished rearranging all the books. But I'm not complaining, because this is something that I see in my room everyday. 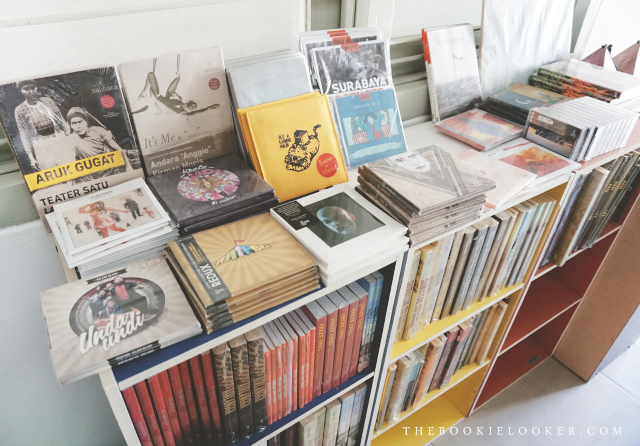 And then next to the tall bookshelf, there's a smaller bookshelf which also contains a mix of non-fiction books. There are also some design books in this shelf, which got me excited because I have some design books that I also wanted to donate at home. They have a pretty decent collection, so for those of you looking for design inspirations, you can check out this place as well. Oh, and I absolutely love the decorations on top of the shelf! 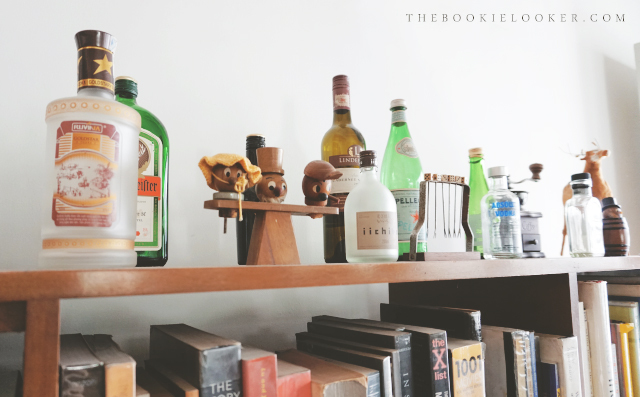 It's a mix of liquor bottles and other knick knacks. 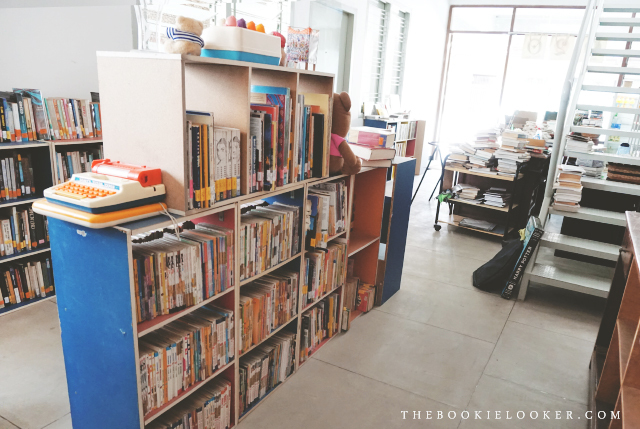 Moving on to the center of the room, there's a table that's cluttered with books that still needs to be organized. And then there's this blackboard with a list of events that will be held, such as workshops, discussions, etc. 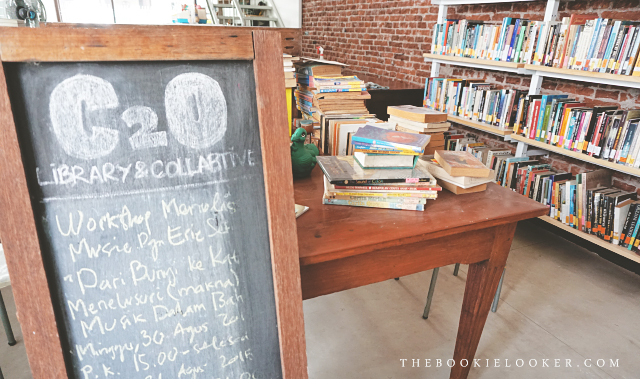 Aside from having a library, C2O also provides venue for various events such as: cultural-based activities, educational events, social ventures, arts and culture, film/video screening, seminar, talk show, FGD (Focus Group Discussion), workshop, presentation, artist' talk, performance, etc. If you're interested in using the venue for your event, you can click this link and fill out the proposal :) You can also see various events that have been held in C2O previously on their website's Program page. In front of the desk, there are more shelves at the center filled with various comic books/graphic novels, I think (pictured above). 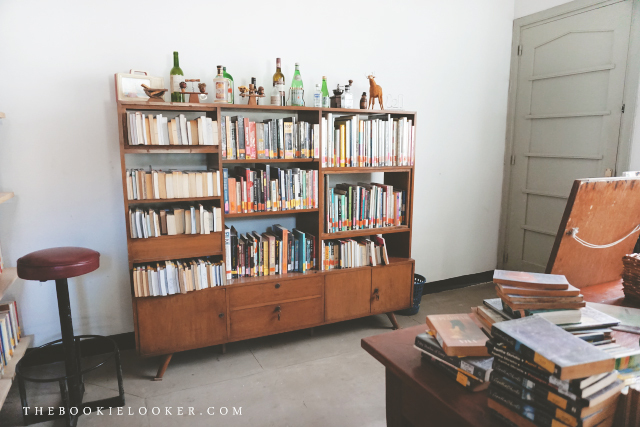 And then there are more shelves opposite the tall bookshelf, filled with a mix of fiction and non-fiction books. Below are some of the close-up pictures I took while I was strolling around the place. I really love the shelves with different colors lining the insides; I think it adds a pop of color in the room that's dominated with a lot of brown / neutral colors. 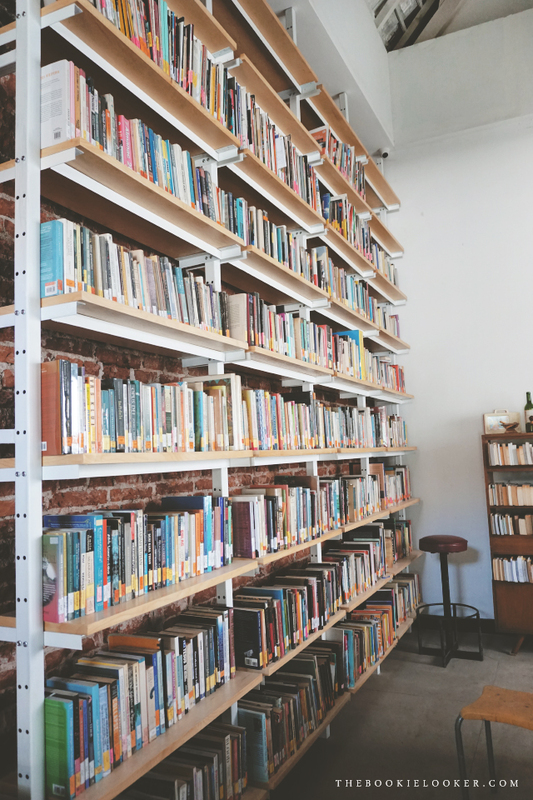 Lastly, those of you who're interested in becoming a member of this library so you can borrow some of the books, you can go to the membership page on C2O website for more details. It will let you know how to apply for membership, the fee, how long you can borrow a book, the late fine fee, etc. 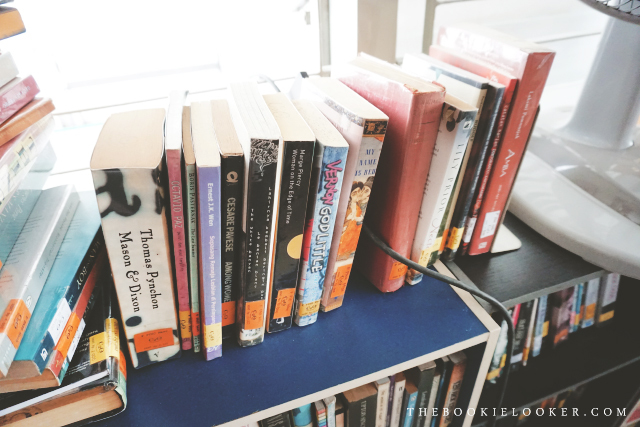 If you're in the area and doesn't want to spend all your money to buy books on your own, borrowing books from the library can be the perfect solution. And that's it for this post! I hope you enjoyed this post that I'm not used to making. To sum it all up, I'm very happy I get to donate books to this place. 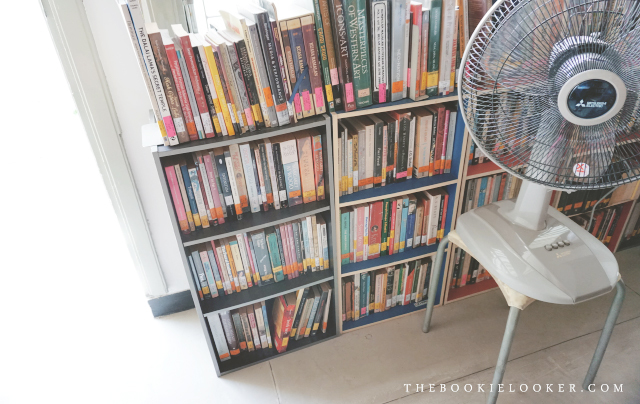 After much deliberation, I thought it would be much better to put my unread / pre-loved books in this library so they can be read by many more people instead of it being stuck in my bookshelves collecting dust. 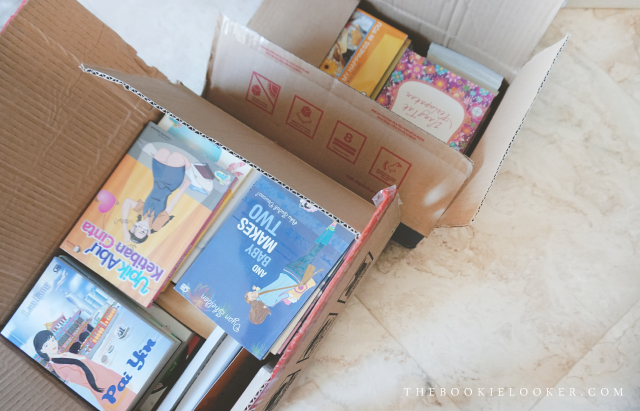 It's still difficult for me to do because I love all my books, but I've finally made up my mind to let these books go. 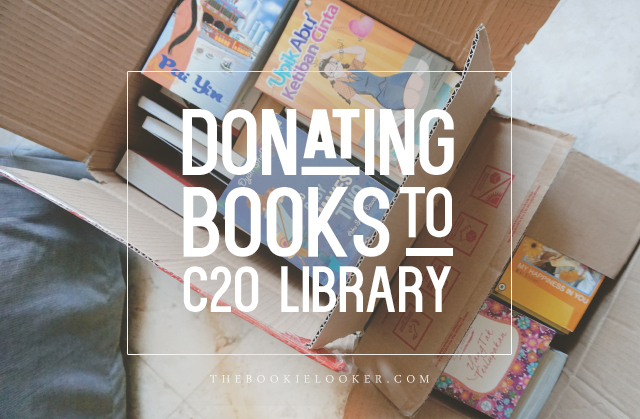 This might not be the last time I'm visiting C2O library to donate books, because I still have plenty more at home that I still haven't put in boxes. 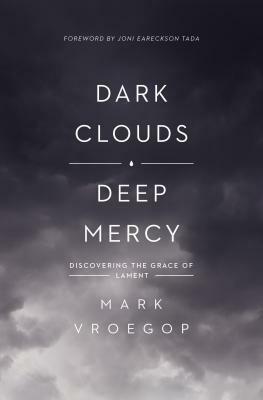 If you know of any other places that accepts book donations like this to recommend, feel free to share it with me in the comments below. Okay, bye! 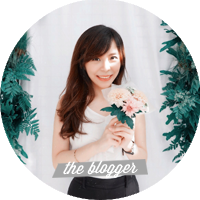 Hwaa..pengen deh ada seperti itu di kota tempat tinggalku.